Optimize your liver’s health and function with these powerhouse foods. 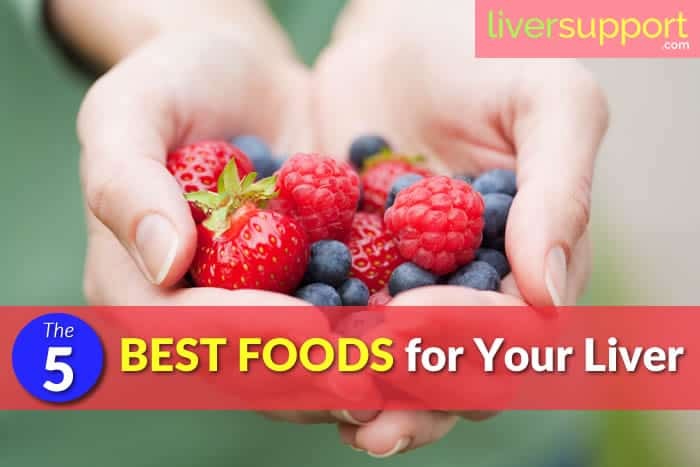 The liver is one of the most critical organs in the body and performs several vital functions which include digestion of food, detoxifying the body and immunity. When the liver is compromised, overall health is also compromised. Several conditions can have a negative impact on liver function, including infection form Hepatitis A, B or C, overuse of alcohol, environmental toxins, being overweight, having diabetes, or certain other conditions. When the liver suffers damage, it becomes inflamed as it tries to heal itself. Areas of damage become scarred and develop into fibrosis. 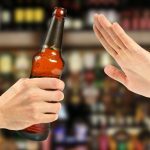 Eventually these areas become permanently scarred and the damage becomes cirrhosis of the liver, which is a very serious condition. Liver cancer may also develop, bringing on a whole host of other complications. We know the liver is vital to health and wellness, and diet is one easy way to optimize liver health and function. A healthy diet, high in fiber and nutritious food choices and low in sugar (carbohydrates) and fats (lipids), is optimal for a healthy liver. Leafy Greens – Dark, leafy greens like kale, spinach, Swiss chard and collard greens are rich in antioxidants, flavonoids, carotenoids, beta carotene and vitamins A and C. These powerhouses reduce inflammation in the liver, minimizing cellular damage. They offer anti-inflammatory and antioxidant protection to the liver and their high fiber content helps in eliminating fats and sugars from the intestinal tract and reducing fat in the liver. In fact, studies have shown that visceral and liver fat were reduced, even when small quantities of greens are consumed. Kale is a superfood for your liver! Berries – Berries are fat free, high in fiber and contain flavonoids, vitamins A and C, and powerful antioxidants. Blueberries in particular contain anthocyanins, which have strong anti-inflammatory properties, reducing the inflammation in the tissues of the liver. A Finland study found that a diet high in berries was “nutritionally significant” in improving liver function. Find out about the liver health benefits of strawberries, raspberries and blueberries! Beets – Packed with iron, calcium, betaine, B vitamins and antioxidants, beets offer a full range of benefits. The most significant benefit is that beet juice thins the bile, allowing it to flow more easily through the ducts, into the intestines. 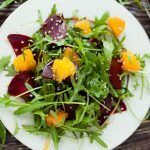 Beets can be baked, roasted or sliced into salad. Avocado – The avocado has long been known to contain healthy cholesterols, or high-density lipoprotein (HDL) which actually helps to reduce “bad” cholesterol, or low-density lipoprotein (LDL) in the body. Reducing dangerous fats helps the liver in managing lipid metabolism, lowering fat accumulation in the liver. Also, avocados contain glutathione-producing compounds, which aid the liver in detoxifying. Research has shown that eating avocados once or twice per week can have significant benefits in liver health. Read more about the almighty avocado! Cruciferous Vegetables – Cruciferous vegetables such as watercress, cabbage, cauliflower, broccoli and Brussel sprouts contain phytonutrients called isothiocyanates, specifically two called sulforaphane and indole-3-carbinol. Studies have shown that sulforaphane can increase the liver’s ability to detoxify itself by producing specific enzymes: glutathione transferases, NAD(P)H: quinone reductase, and glucuronosyltransferases. These enzymes remove carcinogens and free radicals form the liver, and the body. A healthy diet is essential for achieving and maintaining optimal liver function and overall health and well-being. 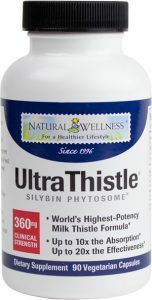 Another great way to improve liver function is with UltraThistle®, which contains silymarin, milk thistle’s primary active ingredient. Silymarin is a flavonoid that has been shown to protect and strengthen liver cells, and act as an antioxidant, antiviral and anti-inflammatory agent. Because of its anti-inflammatory properties, milk thistle reduces inflammation and scarring in the liver, protecting the liver and aiding in detoxification. American Liver Foundation. (2016). The liver lowdown. American Liver Foundation. Retrieved on 7/31/16 from http://www.liverfoundation.org/education/liverlowdown/ll1013/bigpicture/. Blessing, J. (2015). Beet juice and liver detoxification. Livestrong. Retrieved on 9/21/16 from http://www.webmd.com/vitamins-supplements/ingredientmono-306-beet.aspx?activeingredientid=306&activeingredientname=beet. Cook, L.T. ; O’Reilly, G.A. ; Goran, M.I. ; Weigensberg, M.J.; Spruijt-Metz, S.; Davis, J.N. (2014). Vegetable consumption linked to decreased visceral and liver fat and improved insulin resistance in overweight Latino youth. J Acad Nutr Diet. 114(11): 1776–1783. Retrieved on 9/21/16 from http://www.ncbi.nlm.nih.gov/pmc/articles/PMC4177517/pdf/nihms580888.pdf. Gucciardi, A. (2012). 4 Natural liver cleansing foods. Natural Society. Retrieved on 9/21/16 from http://naturalsociety.com/liver-cleansing-foods/. Harvard Health. (2016). Foods that fight inflammation. Harvard Health. Retrieved on 7/14/16 from http://www.health.harvard.edu/staying-healthy/foods-that-fight-inflammation. Jacoby, C. (2016). 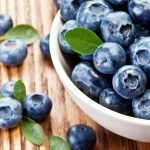 Can blueberries treat liver fibrosis? Health Guidance. Retrieved on 9/21/16 from http://www.healthguidance.org/entry/13783/1/Can-Blueberries-Treat-Liver-Fibrosis.html. Lehtonen, H.M.; Suomela, J.P; Tahvonen, R.; Vaarno, J.; VenojÃ¤rvi, M.; Viikari, J.; Kallio, H. (2010). 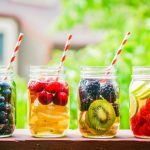 Berry meals and risk factors associated with metabolic syndrome. European Journal of Clinical Nutrition. 64: 614-621. Retrieved on 9/21/16 from http://www.nature.com/ejcn/journal/v64/n6/abs/ejcn201027a.html. Mercola, J. (2015). Top anti-inflammatory foods, herbs and spices. Mercola. Retrieved on 7/31/16 from https://articles.mercola.com/sites/articles/archive/2015/02/02/anti-inflammatory-foods-herbs-spices.aspx. Whole Foods. (2016). What are the benefits of sulfur compounds found in cruciferous vegetables? Whole Food. Retrieved on 9/21/16 from http://www.whfoods.com/genpage.php?tname=george&dbid=45. Stephen Holt, M.D. is a Distinguished Professor of Medicine NYCPM (Emerite) and a medical practitioner in New York State. He has published many peer-review papers in medicine and he is a best-selling author with more than twenty books in national and international distribution. He has received many awards for teaching and research. Dr. Holt is a frequent lecturer at scientific meetings and healthcare facilities throughout the world. He is a best selling author and the founder of the Holt Institute of Medicine.